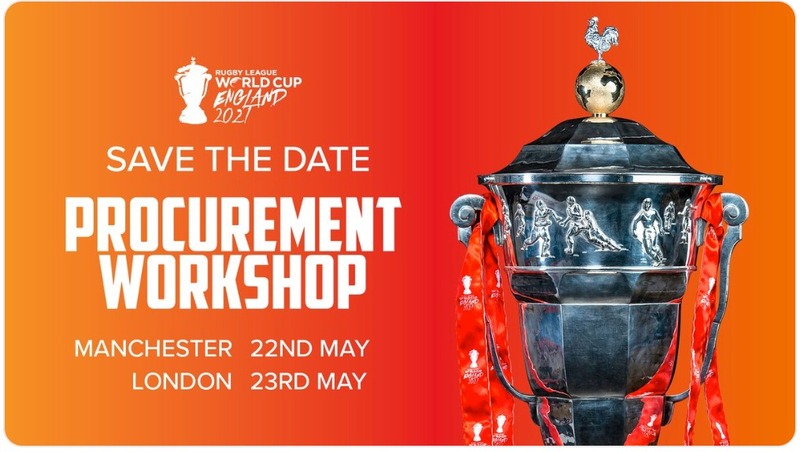 With work now beginning on level four, the 25,000-seat stadium remains on track for completion ahead of the 2020 National Rugby League (NRL) season. 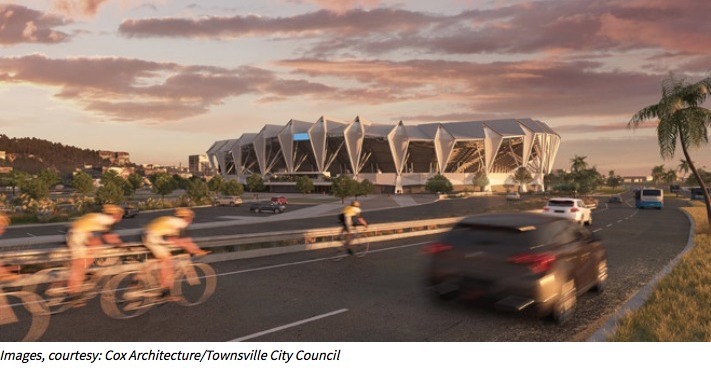 We are honoured to be part of the North Queensland Stadium story, and we can’t wait to be part of the exciting new events that come to Townsville. 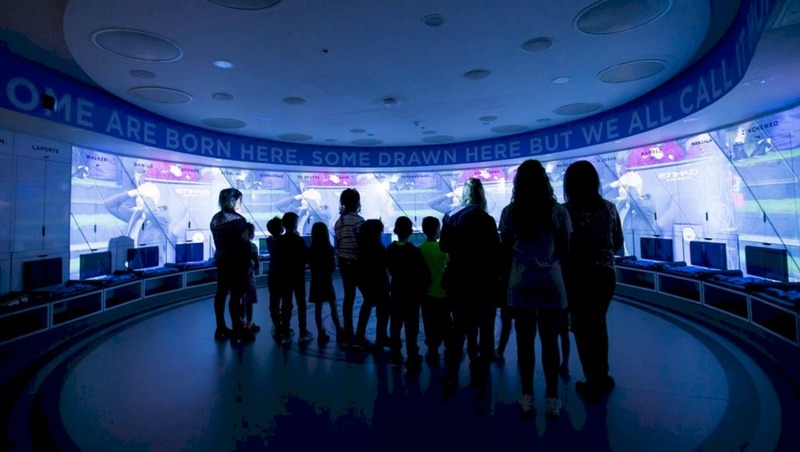 Ticketmaster has a regionally-focused content strategy, and we’re committed to doing our best to attract major events to the venue, while also supporting community development. Our focus for North Queensland Stadium is distinctly local and are pleased to be opening dedicated ticketing outlets in Townsville, Mackay and Cairns as part of this deal. We’re committed to customer service, fan engagement and providing fans a safe and secure ticketing experience, and we look forward to providing this to patrons in North Queensland. This is going to be a world-class stadium not only for sporting events, but other major entertainment events, concerts and community events. It will be great to have global entertainment ticketing agent Ticketmaster handle ticketing arrangements for the venue, once it becomes operational. Ticketmaster has a proven track record in Australia, servicing several major hirers at venues like The Gabba and Marvel Stadium, and also successfully implementing ticketing arrangements during the commissioning of Optus Stadium in Perth. Ticketmaster’s wealth of experience in ticketing and technology has helped them lead the ticketing landscape for decades, and through their global network they can help Townsville attract major events. Each project milestone brings us another exciting step closer to the first time the Cowboys run out at North Queensland Stadium in early 2020. We already have a great relationship with Ticketmaster as the current provider for our Cowboys membership platform, and we look forward to continuing to work with them to give our members and fans a first-class experience in our new stadium. 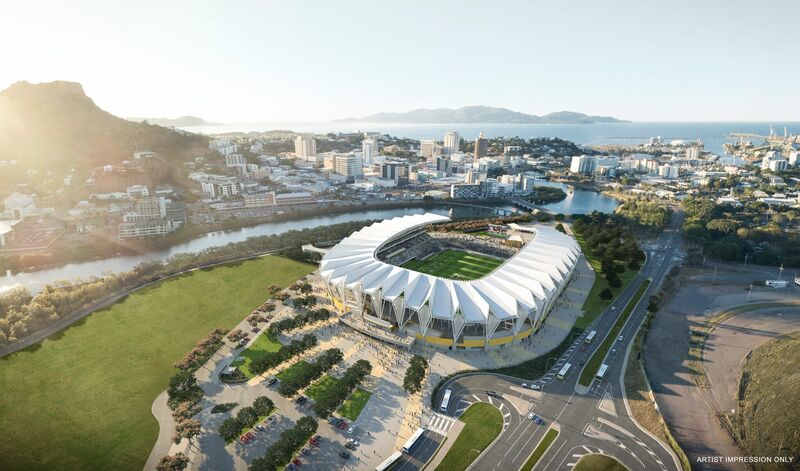 The North Queensland Stadium has been designed for a 25,000-seat capacity with the option to expand to 30,000 seats in the future. This provides 7,000 more seats than the current 1300SMILES Stadium. The centrally located, best-practice, multi-purpose, regional stadium will be built in Townsville, in time for the start of the 2020 NRL season. It will also accommodate up to 40,000 patrons in concert mode. 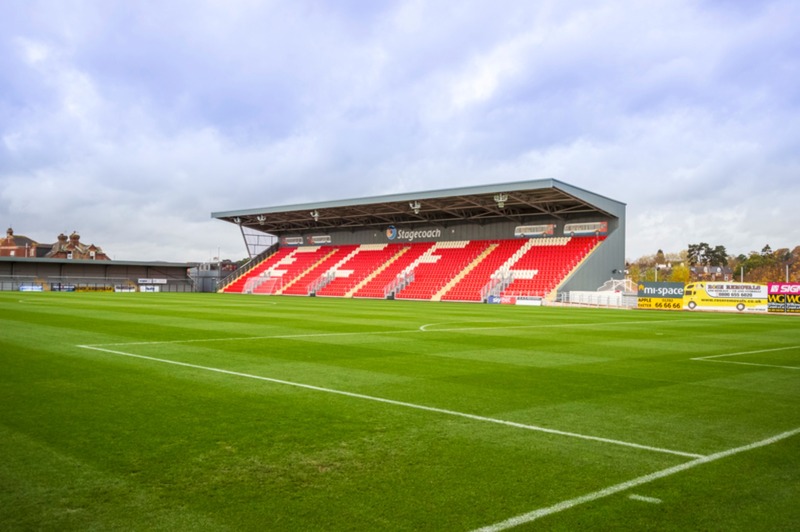 The modern look and feel of the stadium has been enhanced by incorporating the sports lighting into the stand roofing, eliminating the need for light towers. It will feature a horseshoe-shaped, cantilever roof inspired by the pandanus plant. While providing an elegant expression of the building, the roof will shade about 75 per cent of the seating, with generous overhangs over the concourse and main entry. In place of traditional trusses, folded plates achieve the roof’s ‘pandanus’ geometry. The folded plates provide the strength to resist cyclonic wind loads and the flexibility to allow the roof to expand and contract with tropical temperature fluctuation. On the sweeping 9m wide concourse, patrons will be able to walk the full 600m circumference of the stadium without the use of stairs, all while being able to see through to the field of play. The Stadium will feature generous plazas and landscaped green spaces. The grassed northern parkland and plaza will form part of the northern entry and provide a space for friends and family to meet before entering the stadium. The southern plaza and entry will lie adjacent to an integrated bus hub. North Queensland Stadium is a joint project of the Queensland Government, Australian Government and Townsville City Council, and is supported by both the National Rugby League and the North Queensland Cowboys. The stadium forms part of the Townsville City Deal signed in December 2016. The main stadium build commenced on May 1, 2018, with completion due early 2020. 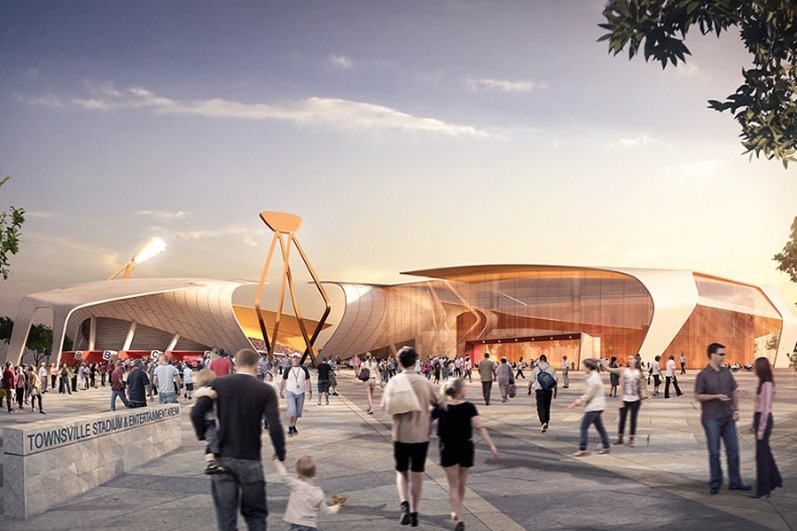 Townsville architects 9Point9 are part of a Cox Architecture-led team chosen to deliver a Pandanus tree-inspired design for the A$250m North Queensland Stadium.